Project title: The Theory of Healing in Ancient Egypt: The Biophysical and Cultural Realities of Healing Practices from the Nile Valley during the Late Second Millenium BCE. This research project—funded by the Nederlands organisatie voor Wetenschappelijk Onderzoek (NWO) and primarily based at Leiden University in the Netherlands—aims to create a new ethnographic appraisal of the healing traditions documented in papyri from Late to Roman Periods of Egyptian History. This period is characterised by increased interconnectivity between Egypt, Africa, the Near East, and the Mediterranean World. The current project seeks to assess the phenomenological realities which impacted the format and content of the source material. From this vantage, the project will examine which aspects of the later period practices are consiıstent with the well-documented traditions of earlier periods in Egyptian history, and which are influences from external cultures. The project will also examine the potential for the transmission of knowledge which is grounded in an Egyptian lived experience. 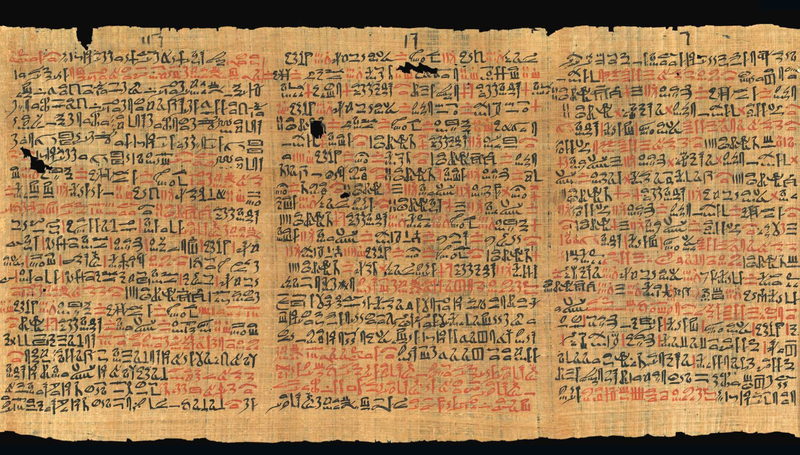 Previous scholarship has attempted to connect Egyptian healing prescriptions with theory and practices documented in the Hippocratic Corpus; however, these studies focused on the well documented papyri dating from the Second Millennium BCE – documents which are detached temporally by over a thousand years from the Graeco-Roman sources. Moreover, they examined these papyri through a Classical or even Western ‘lens’. While it is certainly significant that a handful of Egyptian prescriptions dating from this earlier period can be identified almost verbatim in the Hippocratic corpus, the arguments fall short of assessing the implications of this on our understanding of the appearance of Egyptian semiotics in distinctly different cultural settings. Using a lexicographic analysis, the project will first seek to elucidate the Egyptian visualisations of internal and external physiology by drawing on any links between anatomical and non-physiological, such as those used for the surrounding geographic environment. This will then be used to reconsider beliefs concerning disease theory. The project will ultimately seek to establish a connection between these concepts and treatment selection. The relationship between ritual incantation and herbal remedies will also be examined in terms of ideological associates and biophysical and cultural realities.